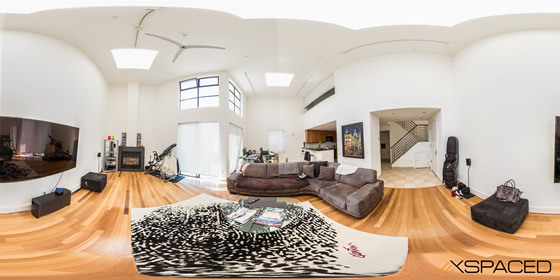 Xspaced is a San Francisco based startup that specializes in interactive virtual tours for residential and commercial real estate: apartments, homes, offices, retail spaces, event venues, hotel suites, etc. “Today’s real estate market is full of boring listings. Sometimes you end up on “a buy or rent” property website and see these picture slideshows with so many useless features and a user interface that makes you feel like you’ve traveled 10 years back in time. Not to mention that they mainly feed you “advertised” content, meaning – you don’t always get to see what’s in every single corner of the house or apartment you are looking at. That made us think how can we create a way to visualise a property using modern web technologies, that would be useful, intuitive and would create a realistic representation of the location. 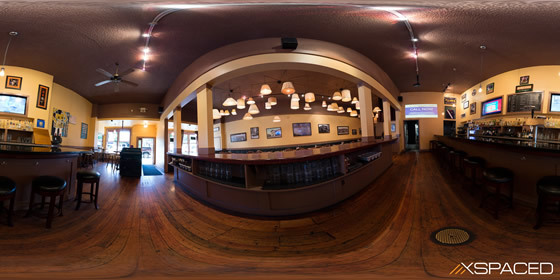 So we ended up creating “clean” and easy to use interactive virtual tours. We believe that “being” on a location without having to physically be there makes a BIG difference for anyone looking to buy, sell or rent a property. This is really just a first step into bringing a new platform for real estate visualisation, property information sharing and interactions with real estate agents or brokers, hospitality and retail brands.” – Alex Pelin, Founder @ Xspaced. –	Fully responsive layout and design to ensure perfect presentation on any screen size, device/OS type. –	Each of our tours can be customized to fit the company’s branding, logo and location description or any other information can be easily added to the tours. –	The client gets a code with links to each tour within 72 hours after the photoshoot. The code can be easily embeded into their website, all the tours are hosted on Xspaced servers. The tours can also be used to support PR campaigns for small and big brands, creating a new way to engage customers through online treasure hunts or by creating virtual shop tours with the ability to purchase items from within the “virtual store”. Serviced areas currently include San Francisco and Los Angeles, but the company plans on expanding to key cities in the US in 2015.